But that's not what I'm here for today, I'm here for a recent tweet by 343i that shows us some pretty exciting stuff. If you would be so kind to look at the image at the top you'll see eveything we've had thus far on the left. To the right we see (possibly in order) what's to come the coming months. And yes, there's going to be Firefight! And Reach themed stuff! And Hog's! And everything! There's not really much to go on right now other than the image above and the little teaser trailer we got during yesterdays stream. But speculate away! What do you think will be featured in the upcoming expansions? Phil Spencer sat down with Giant Bomb on their E3 Podcast not that long ago to talk about how Backwards Compatibility works, and clear confusion on some of what it can & can't support. He went on to say that multi-disc 360 games, like Wolfenstein: The New Order or Dead Space 3, are currently in development, and are being looked into. He said specifically, "We're still working on multi-disc. Lost Odyssey, and Blue Dragon are some of my favorites from the 360. There's actually work in packing a multi-disc into single that requires us to go back and look at the original package on the multiple discs and reconfigure that. There weren't allot of multi-discs on 360, but that is an issue for us." He also made a brief comment regarding Kinect: noting that 360 Kinect games will not work on Xbox One, "There's some caveats, and as always I like to be as transparent as I can be on this: Kinect games won't work from the 360, because translating between the Kinect sensors is almost impossible." Lastly, Xbox Support on Twitter confirmed that disc-based & digital 360 DLC will be supported, and can be transferred to Xbox One via the Backwards Compat. system. However, the availability of the DLC depends on whether or not the Developer or Publisher approves it. For example, if a company like ZeniMax were to allow it's consumers to port it's 360 DLC to the One, content such as Dawnguard from Skyrim & Mothership Zeta from Fallout 3 will be playable with no strings attached (the content still needs to be tested beforehand, like Phil Spencer said in the podcast above), and possibly all DLC from the GOTY and special editions of said games will be utilized as well. Again, this still depends on the content-holders giving the green-light. Backwards Compatibility will be available to everyone later this year, and supposedly will launch with around 100 supported titles, and hundreds more every month. Those who are in the Xbox One Preview Program can test the system's current titles right now, like Perfect Dark Zero, Super Meat Boy, and Battleblock Theater. Xbox additionally has a public vote on which games will be approved. You can go to the Xbox Feedback forums here to cast your vote on a game you would like to see on Xbox One. Halo 5: Guardians has plenty of pre-order bonuses that are acquired from different retailers, such as Agent Locke's HUNTER armor from Gamestop & GAME, the Projection SMG from Amazon, and a loadout weapon & skin from Xbox Live. The incentives to buy the game from all these retailers makes the content too exclusive for any one person to get unless you want to go through a large amount of hassle. It makes the choice & lack of choice of place to preorder all the more difficult. Relieving the pressure on fan's shoulders, Josh Holmes of 343 Industries made a quick response to a user on Twitter regarding availability of the preorder content. He confirmed that all preorder content can be unlocked in the base game regardless of who you bought the game from, and that the preorder itself just "- guarantees you have it out of box.". So earning something like the Sentinel Battle Rifle from Gamestop will require work in-game to get, but you'll still have a guarantee of the content being unlockable. A new Evolve DLC is on the way introducing four more hunters and one new monster to the fray on Shear! Evolve has been hammered for it's lack of content, and it looks like Turtle Rock Studios hopes to fix that this month with a new DLC for the game introducing 5 new characters. There are four hunters included in the pack when it launches, as confirmed on EvolveGame.com. Torvald, the Assault, a cyborg with a mortar ability, Crow, the Trapper, who has a bat-like creature at his disposal, Slim, the Medic, an insectoid who utilizes a power draining gun, and Sunny, a Support with a keen grenade launching rifle. On top of this, a crab-like monster is being tossed unto Shear known as Behemoth. All are available on the same date, March 31st, and will cost money to download, unless if you pre-ordered, in which you'll get Behemoth for free. All platforms will get the DLC on the same date for the same price, Turtle Rock has confirmed. Personally, these all look very cool, but I'm not sure I have the cash to shell out on an already $60 title for these minute bursts of new fun. Let me know what you think down below! Thanks a ton for reading! The developers of the hit new multiplayer game, Evolve, have promised that all of the game's downloadable maps in the future will be free to all players. Season Passes these days are in full fruition, and it seems like every company wants to milk any feature they 'reward' you with dry and force you to output more money on DLC than the actual game costed. Polygon.com states that Evolve developers, Turtle Rock Studios, are avoiding this trend and making all future expansion maps free to all. Their reasoning was that, "We never want anyone to get booted off of a server because they haven't bought something." Although map DLCs are being made free to all players, that doesn't mean Evolve won't contain other paid content. More Hunters and Monsters will be added post launch that will cost money, but even if you don't buy them you can still play alongside them if your friends have them. Evolve launches on February 10th for current gen and PC only, so if you're on the Xbox 360 and PS3, it might be time to upgrade. What do you think of this news, is it a trend all companies should follow? Tell me your thoughts below! Thanks for reading everyone, see ya next time. Today, Bungie announced a slew of new details for the new expansion to the game, The Dark Below, including an increased level cap, a new raid, and more! Rumors and leaks spread like wild fire in the recent days surrounding the leaking of Destiny's DLC content, which is likely why Bungie has now officially revealed the DLC and it's contents. Bungie.net has the news, with an info page talking about and showing the new features. To start, the game will increase the level cap to 32, though whether this means the Light cap or that we'll be able to get to 32 normally on top of the extra ten light is unknown. What is known though is we're getting new armours and weapons reserved for these elite players, including a new Hive themed rifle and Shotgun, and a rocket decked out with an old fashioned World War II paint decor. This is so far all we've seen, so there could be more. New story missions following a new Guardian in the tower named Eris will be available. On top of all that, we'll receive new Crucible maps and most excitingly a new Strike. This strike is said to entail finding a Hive Wizard named Omnigul buried in Earth looking to enlarge the Hive army for the Hive god Crota's return. And to top this off, a new raid allowing you and the most skilled Guardians to slay their god, Crota. More details will be seen soon, but we have a confirmed release date of December 9th, 2014. Does this news excite you, and will you play the DLC? Let me know down below Guardians! Thanks a ton for reading, see ya! With all things Destiny settling down a bit I turn my head towards a next thing I'm excited about, an all new DLC for Battlefield 4. The new DLC called Final Stand has been revealed with a trailer yesterday and shows a lot of new stuff to do. The DLC will be focussed around infantry warfare but with a twist. This DLC will be set in something pre Battlefield 2142. The map pack consisting out of 4 different maps will hold vehicles and weapons that resemble prototypes of the weapons and vehicles in Battlefield 2142. You can get yourself a hover tank which does exactly as you imagine, get your hands on a Railgun which can absolutely annihilate infantry and vehicles, race and jump around on snowy mountain tops with a snowmobile or find and deploy a drone holding a minigun to harass your foe's. This DLC is already able to be checked out in the Community Test Environment (CTE) for Premium players on the PC as a beta version of the DLC can be played there now. These players can play one map each day, but hurry as there are not that much player slots open. Will you give this DLC some time after being done with Destiny? Saints Row news was announced at PAX today as we have confirmation of a new DLC called Gat Out of Hell and a remake on current generation consoles called Saints Row IV: Re-Elected Edition. Deep Silver shared two new exciting announcements for it's Saints Row franchise, particularly Saints Row IV, today at PAX Prime, a remake of SRIV on the current generation Xbox One and PS4, and a stand-alone DLC expansion for the game called Gat Out of Hell. Polygon.com reports that the DLC will follow Johnny Gat and Kinzie Kinzington after using a Ouija board goes horribly wrong, they are transported to the depths of hell and must kill Satan himself. No customization will follow in the DLC as you're playing as already set characters. The world is about half the size of Steelport, but will feature new activities, weapons, and clothing. The DLC is $19.95 as a stand-alone (you don't need Saints Row IV to play it) and will release on January 27th, 2015 on Xbox One, PS4, PS3, Xbox 360, and the PC. Next is the Saints Row IV: Re-Elected Edition, also covered by Polygon.com. This is a bundling of the original Saints Row IV game and all of it's DLC, excluding the Gat Out of Hell add-on. The bundle will be available on January 27th, 2015, the same day as the DLC. It will cost about $29.99, or a bundle will the DLC will be available separately for $49.99. New features for the game such as Kinect integration have also been teased by it's porters, High Voltage Studios, working with the original developers Volition and it's publishers Deep Silver to recreate the game. Currently, resolution and framerate for the game have not been announced, but more details should be available soon according to Deep Silver, so we may have to wait a few days. What do you think of both of these announcements? Are you excited to see the Saints go to hell (literally)? Or does this seem like nothing but cashing in on Deep Silver's part? Discuss the news below! Thanks for reading! 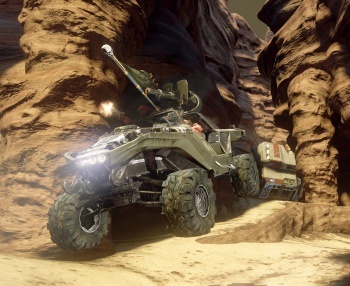 Halo 4 DLC Discounts For One Day Only! 2k Games has launched a trailer for the DLC expansion 'Captain Scarlett and her Pirate's Booty' worldwide, for Xbox 360, PS3 and PC. The publisher says: "In Captain Scarlett and her Pirate's Booty, up to four players cooperatively enter the hostile sand dunes and wastelands of Pirate Bay in search of ancient treasures. "The add-on content campaign features new characters, including the eccentric and eager Shade; locations such as the town of Oasis; enemies including the Sand Pirates and Anchormen; and special weapons and loot that make it a must-play experience." Gearbox previously announced plans to release four Borderlands 2 DLC campaign add-ons, which will retail individually for $9.99. A Borderlands 2 Season Pass enabling players to pre-purchase all of the DLC at a discount is available now. Check out the Mechromancer gameplay where they wreak havoc on the Highlands. Today we have some DLC news regarding Assassin's Creed 3. This DLC will of course be available on all platforms the game will be available on. Will you be getting the DLC? "Ubisoft today announced some intriguing single-player DLC for Assassin's Creed 3. “The Tyranny of King Washington" is a campaign told through three episodic content packs that lets gamers experience an alternate history of the events following the American Revolution. One look at the above artwork, with George Washington looking a lot like Alex from A Clockwork Orange, should give you a good idea of what to expect. In addition to this all-new single player experience, Assassin's Creed 3 downloadable content will feature new maps and characters to provide "an even more expansive multiplayer experience." If you want to purchase everything Assassin’s Creed 3, Ubisoft is offering a Season Pass that will be available for purchase for 2400 Microsoft Points on Xbox LIVE or $29.99 on the PlayStationNetwork. It can be pre-ordered at GameStop and Best Buy." 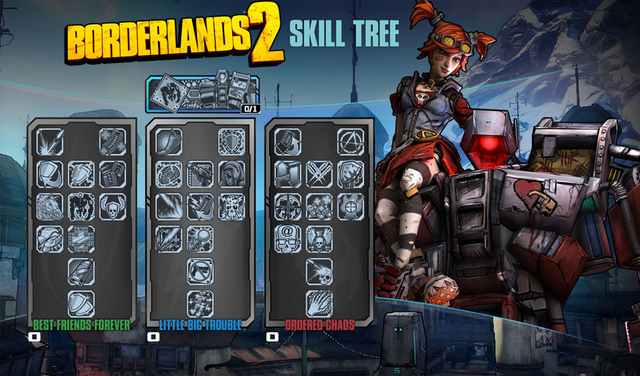 Borderlands 2 releasing Mechromancer DLC next month. This character looks pretty cool! Catchy name too! Gearbox Software confirmed the upcoming download content Mechromancer is coming October 16 for $10 or 800 Microsoft Points. The Mechromancer content is available for free if you pre-order the game. Gearbox said it plans to release four additional DLC content for Borderlands 2 that can be purchased individually or part of a Season Pass. Borderlands 2 is out September 18. If you're both an Xbox 360 owner and a fan of free things, then you're going to love this upcoming promotion that Microsoft is running to celebrate five years of Summer of Arcade releases on Xbox Live Marketplace. Starting on July 18, 2012, players will be able to nab free DLC for Trials Evolution andMinecraft: Xbox 360 Edition, Major Nelson confirms. On the Minecraft side, the DLC amounts to a Summer of Arcade skin pack, with character skins inspired by 2012's five Summer of Arcade releases. The Trials Evolution DLC, on the other hand, amounts to a new track for the game that is inspired by -- you guessed it! -- 2012's five Summer of Arcade titles. Fun times. The first game to be released for this year's promotion is Tony Hawk's Pro Skater HD, which arrives next Tuesday, the same day as this free DLC. You can check out the full line-up right here. US gamers set on grabbing a copy of the superb-looking Borderlands 2 can get themselves the 'Creature Slaughter Dome' download if they go with GameStop. The video below was release by retailer's showing off the exclusive DLC, which plonks players in a arena with a switch that sets loose all manner of hostile beasts. You simply fight to survive while earning XP and sweeping up a load of loot that you keep. Pre-orders in general will also get you the Mechromancer character class download as son as it available...which they believe it will be in November. The current video below shows off the pre-order content. In Skyrim's new DLC you will be able to buy land and customize your property. You will just have to read below to see what i am talking about. Skyrim: Hearthfire is officially the next DLC pack for The Elder Scrolls 5. We speculated about Hearthfire last week and it looks like we weren't even close. Rather than dealing with zombies, necromancy, or eating the flesh of children, Hearthfire will add home improvement features. Hearthfire will include a few features we didn't know Skyrimwould get, the ability to purchase land and build your dream home. You'll be able to pick out land, build your home, guard it, and even turn your house into an orphanage. I've been watching House Hunters for years leading up to this moment. My body is ready! Keep reading to see all of the ways you can build your own estate. I can't really image these features were what gamers were expecting but I think Heathfire will add much more than this trailer mentions. Basically, I haven't given up on zombies. Although for only 400 MS points this might just be Horse Armor all over again. I really hope Hearthfire isn't House Armor! 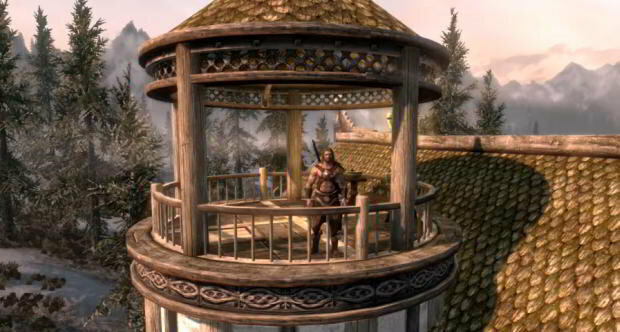 Skyrim: Hearthfire will be released on September 4, 2012 for 400 MS points. No information on a PS3 or PC release date has been given. EA has revealed the release date for the Battlefield 3: Armored Kill update, and it's complicated. You could see it as soon as September 4 or as late as September 25, depending on your platform of choice and membership status. As you know, EA offers a special Battlefield 3 premium membership, which costs $49.99. If you've sprung for the service and you're playing on PlayStation 3, you can get the download on September 4. PC and Xbox 360 players get it a week later, on September 11. All premium members get the Armored Kill update at no additional cost. Otherwise, you can pick up the Armored Kill content on PS3 on the 18th, with the PC and Xbox 360 versions hitting on the 25th. It's individually priced at $14.99/1,200 Microsoft Points. If you haven't yet picked up the game, you may want to wait until September 11. That's when the Battlefield 3: Premium Edition is due out, which includes the full game, a premium membership, and additional unlocks to help get new players up to speed. It'll set you back $69.99. For more details on Battlefield 3: Armored Kill, take a look at our hands-on preview.